By Kelsey Neely Lifestyle Feb 02, 2019 No Comments on How Often Should You Weigh Yourself? You may think that weighing yourself everyday is the key to staying on track, but it actually could be hurting your more then you think! How often you step on the scale can play a big part in your motivation to either continue or abandon your goals. Stepping on the scale and seeing your weight going in the direction you want may give you that extra push to get to the gym; but if the scale is going the other way, you may feel like there is just no point to all your hard work and you may give up. 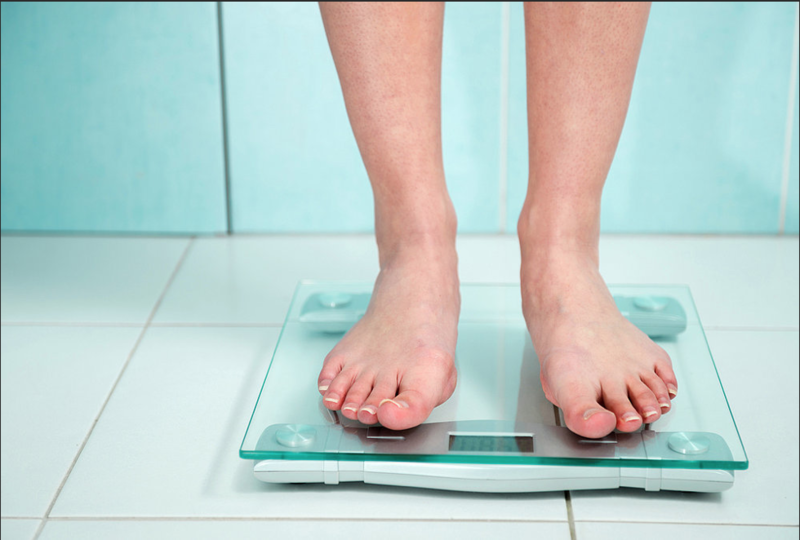 Ultimately, how often you weigh yourself depends on YOU and your goals, but there are a few things to take into consideration. First things first, weight loss does not necessarily mean fat loss or good health. Your body is essentially made up of fat, water, and muscle; meaning that loss of any of these things can cause a drop in your weight. If you aren’t eating enough food, you may be losing muscle mass, which results in a lower number on the scale but may not be in line with your overall fitness goals. Second, our weight fluctuates throughout the day. This means that if you see a jump in the scale, it may not be true fat gain but could be extra water from the day before if you ate too much salt or had an intense work out. If you are weighing yourself daily, your mindset and mood can easily change based on these small, normal fluctuations in your weight. Remember that there are many ways to measure your progress besides weighing yourself. Even if the scale isn’t moving, you can take measurements weekly or take inventory of how your clothes are fitting to see if you may be losing inches. Keeping a food log can help you stay accountable to meeting your nutrition goals and making healthy food choices; keeping a daily journal about how you are feeling can help you track how your healthy food choices are improving your mood and energy. Weighing yourself is just one tool to be used when reaching your goals and there are TONS of other ways to track your progress! No matter which method you use to track your goals, if it is causing your mental distress then positive vibes, then it is time to re-evaluate how you’re doing things. Need help figuring out the best way to track and reach our goals? Let me know! All of us at ADO Fitness are here to help, so make sure to check our nutrition and workout packages in the link above!